The Berkeley Rep has just published on their Facebook page a new video of Stephen Spinella talking about the impact of the play on the young LGBTQ community. In the clip there are many frames of Randy in the role of Prior Walter. And we also made some screencaps! 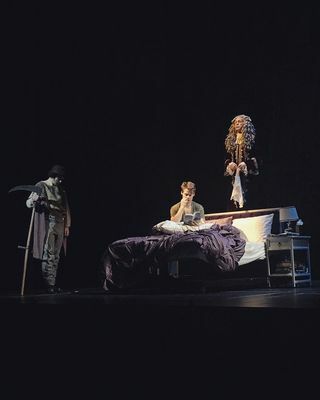 The Berkeley Rep shared another amazing photo from the stage of Angels in America. 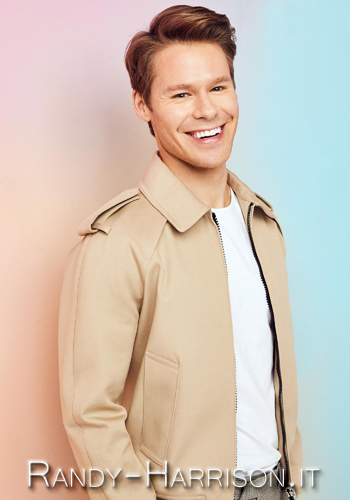 In the photo Randy Harrison is with Francesca Faridany, the Angel. Once again Caldwell Tidicue, aka Bob the Drag Queen, posted on his Instagram a funny clip of Randy. Thank you so much Caldwell! Click on the image below to watch the clip! 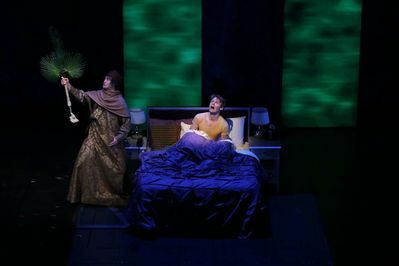 The Berkeley Rep also posted a great shot of Randy on stage with Stephen Spinella and Danny Binstock: the three Priors! 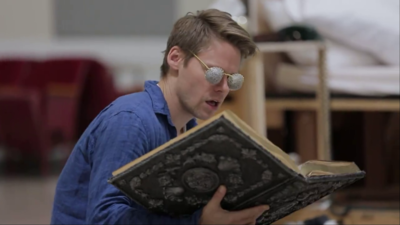 We added to our gallery a bunch of screencaps from this new clip of Randy talking about Angels! 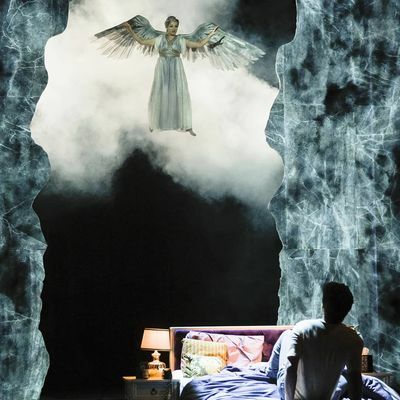 Tonight Angels in America will start its journey! 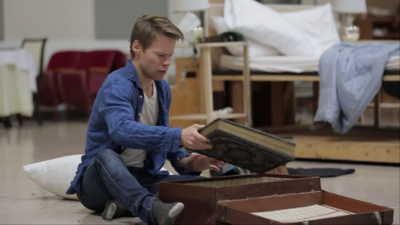 To celebrate this first flight the Berkeley Repertory Theatre published a new clip of Randy Harrison talking about the play and the things he has learnt from this masterpiece. In another article, written by Steven Winn for the San Francisco Chronicle, there are some more photos from the rehearsal! 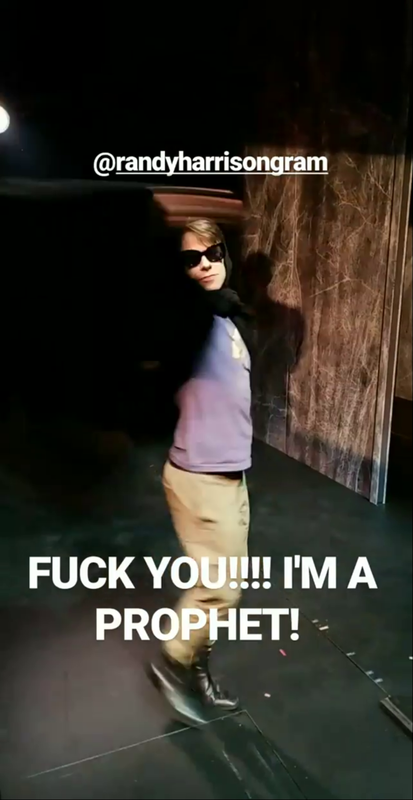 Montana Levi Blanco, costume designer for Angels in America, has just posted on his Instagram another amazing photo of #RandyHarrison while rehearsing on stage with Stephen Spinella and Danny Binstock. Thank you so much to Montana Levi Blanco for this beautiful shot! The San Francisco Chronicle published a great article about Stephen Spinella written by Edward Guthmann. 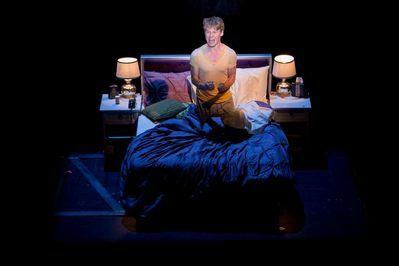 The article includes a series of great photos from the rehearsal of Angels in America, mostly Randy's photos! 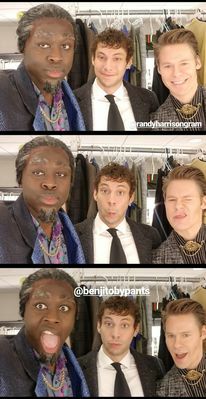 While the opening of Angels in America is in two days, Randy shares some free time with Caldwell Tidicue (Bob the Drag Queen) and Benjamin Ismail, making faces at the camera. Calwell shared a series of funny shots on his Instagram! Thank you Caldwell!